But really, this is not a Lync error. 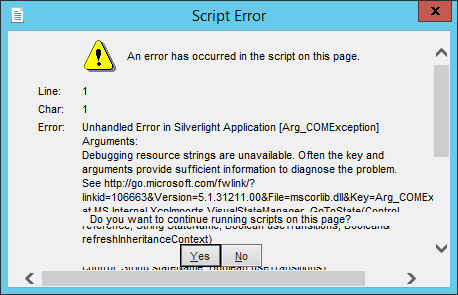 It's a silverlight error. And it doesn't result from setting the PIN. You are a crafty quick admin, and as you move with the accuracy of a ninja cat through the night, you are not seeing the mistake. Set a PIN. NOW. DO NOT MOVE YOUR MOUSE. No error. 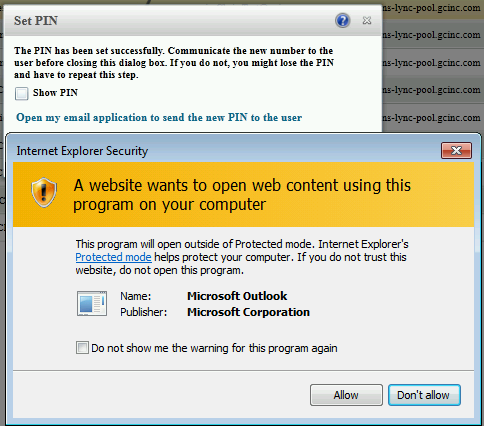 The "Open my email application to send the new PIN to the user" will cause an error when you hover over it. Try it. Happens often. Why? You are on a server, and don't have a mail application installed. If you use the Lync Admin control panel via your workstation, this actually is a nice feature. Once I checked Do not show me again and allow, it automatically opens an email with a text blurb regarding their new PIN. Neat.